Moving forward can be a good thing, but advances in technology don’t always equal progress, Over time, we begin to see the differences between what was and what is, and we may collectively come to realize that what was might have been better than what is. The truth inevitably prevails. Just like when we finally learned and accepted that the earth was round, one day it will be common knowledge that naturally occurring saturated fats are good while the modern marvel of cultivated grains, cheap unrefined vegetable oils and processed carbohydrates in fancy packaging are bad. Only the future will tell us how much time and pressure for change it will take before mainstream institutions such as government lawmakers, the medical community and popular culture will accept these facts. Fortunately for the rest of us, more and more great minds and authorities on human biology are joining the right side. The information highway is swift and people are learning to think for themselves. Nutrition “specialists” who still push the wrong dogma of higher carb and lower fat diets are either pushing what’s told to them without asking questions or have financial and/or egoistic interests, and it’s killing people. As more and more educated professionals and individual parties get interested in spreading the right nutritional information, many names will be given to the approach. Mark Sisson’s Primal Blueprint and Drs. Mary and Micheal Eades’ 6 Weeks Cure and Protein Power offer views very similar to a Paleo diet. Dr. Perricone of Rainbow Diet fame and Dr. Asa Andrews both believe that a balanced diet of whole foods from all groups, excluding industrialized processing and cereal grains, is the healthiest way to reduce and fight chronic inflammation, a major instigator of all disease. Jordan Rubin’s writing of The Makers Diet came about from his own difficulties and near death from Crohn’s disease, and recommends diets containing healthy animal fats. Neurologist Dr. David Perlmutter is one of the leading authorities on how cultivated processed grains adversely affects us, and shows us in his book, Grain Brain, how the effects of wheat, sugar, and processed carbs can cause dimentia, ADHD, anxiety, and a host of other ailments. There’s one man, however, who began studying how diet affects our well being more than 100 years ago. Weston A. Price was a dentist that lived between 1870 and 1948. He wasn’t just any dentist though. 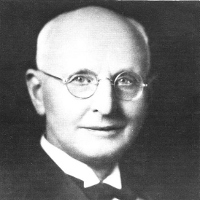 Among other things, he was the chairman of the research section of the American Dental Association from 1914 to 1923. In 1939, he published Nutrition and Physical Degeneration in which he wrote about his observations of multiple cultures, their nutritional habits and their health. He studied traditional cultures that were still eating the same diet they’d been eating for thousands of years, and other cultures that were in the process of changing their diets to a more westernized one. The idea that tooth decay was related to diet came to him because of all the teeth problems he saw people struggling with. It was inconceivable to him why almost everybody in a particular society had teeth and gum troubles, and other societies had none of these difficulties. The observations he documented have proven to be invaluable. Almost all of the cultures he observed now eat a more westernized diet and the opportunity for modern studies is lost. There are simply too few examples to make this kind of investigation. He went in to some areas of Switzerland, Scotland, Ireland, Alaska, Sudan, Australia, Peru, New Zealand and the American prairies looking for links between dental degeneration and diet. In the scientific community, there often is a lot of criticism made towards observational and epidemiological studies because some variables can always be overlooked and can affect the outcome. In the case of Dr. Price’s study though, the cultures are very diverse, yet all show the same core diet principles and great health markers. His findings are, at the very least, important enough to warrant further investigation. Today, the Weston A. Price Foundation, founded in 1999 by Sally Fallon and nutritionist Mary G. Enig, is a U.S. 501 non-profit organization dedicated to “restoring nutrient-dense foods to the American diet through education, research and activism”. Some older studies showed that saturated fat, a large part of the standard American diet and the diets of much of the Western world, contributes greatly to obesity, inflammation and heart disease, as well as complications having to do with the liver, bowels, digestion, and overall well being. More recent studies, however, show that saturated fats can be harmful mostly in conjunction with processed carbohydrates, another large component of Western diets, concluding that the fats are not causing problems, it’s the highly processed and chemical-containing packages the public is putting on their plates. Is it any surprise that the traditional diets studied by Weston A. Price were very close to a Paleo diet? I don’t think so. Although the diets where very diverse depending on the climate and food availability, some important points where consistent. All the diets contained animal products of some kind, often in high quantity. There were no plant-based or vegetarian diets. When meat or fish where not a staple in the diet, raw milk, yogurt and cheeses often were. Keep in mind here that we’re talking about unpasteurized, full-fat milk coming from pastured and grass-fed animals that grazed on plants growing in nutritionally rich soil. This makes for a completely different food than what you find in grocery stores. That milk was high in healthy saturated fat and contained high levels of carotenes, vitamin K2, butyric acid and a host of other essential nutrients. Weston Price also found that the cultures often had sacred food that they took care not to waste and would feed to pregnant and breastfeeding women as well as growing children. Some of those sacred foods were fish eggs, liver, bone marrow, raw milk and cod liver oil. These sources of food are all high in saturated fat as well as fat-soluble vitamins A, D and K2. These vitamins work in combination to activate other vitamins and important body processes. Weston Price was the first to talk about the importance of vitamin K2 and called it activator X. Among other things, these vitamins work together to create strong bones, articulations and cavity-free teeth. The functions of those vitamins explain why they are so important for pregnant and nursing women as well as growing children. The cultures studied understood this importance instinctively and by tradition. The exact guidelines to follow are up to you, but there’s evidence based science to back them up. There are some discrepancies, even in Paleo circles, regarding what Paleo is and how the diet should be undertaken. Two of the leading early proponents of Paleo, Loren Cordain, The Paleo Diet, and Robb Wolf, Paleo Solution, recommend eating primarily lean meat, and plants with no added fat. However, as Paleo quickly evolved to include more experts, it was given a closer look and is now more finely tuned. Today’s Paleo has many similarities to the Weston A. Price Foundation’s dietary guidelines, which are based on his observations. To clarify any confusion, here’s a comparison of the WAPF guidelines, and the prevailing Paleo Dietary Guidelines. (WAPF dietary guidelines reprinted with permission from the Weston A. Price Foundation). Raw animal food All traditional cultures consumed some of their animal food raw; so it is important to include raw dairy, raw meat, raw fish and/or raw shellfish in the diet on a frequent basis Raw foods were the mainstay of prehistoric cultures before they learned to smoke, ferment, or fire food. Eat safe raw foods from all groups. As you can see, the cultures studied by Weston A. Price consumed foods that run very closely to the current Paleo philosophy and the modern Paleo Dietary Guidelines. Today, the work of Weston A. Price is protected and promoted by the Weston A. Price Foundation led by Sally Fallon Morell, who also wrote Nourishing Traditions. The work of the foundation is vitally important to the well being of humanity and the planet as a whole. There are chapters in all major cities that offer a great way to connect with like-minded people.